The international trailer for Nenette. 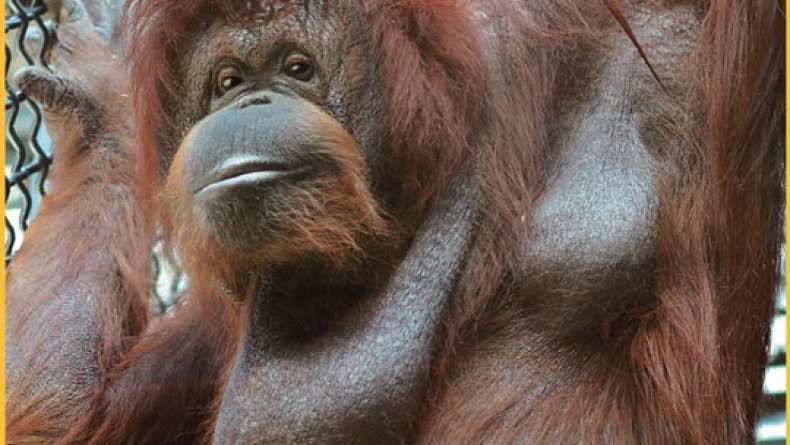 Nénette, an orangutan, is the star of the Parisian zoo where she has lived most of her long life. She is a mother of four and has survived three mates, and she bonds only with a few select keepers. The camera rests throughout on Nénette and the other apes in everyday situations. We only see the visitors as occasional reflections in the glass, but we hear their recorded comments and conversations alongside interviews with the zoo keepers.